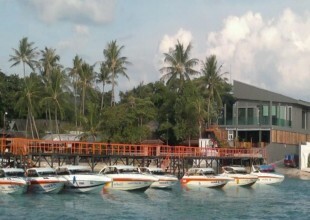 Petcharat Marina is the only licensed marina in Koh Samui. A boutique resort just a few hundred metres away from the charming Choeng Mon Beach.There are 15 stand alone villas, each with a sea view and a private swimming pool.The top floor is a large bedroom with en-suite.The lower floor is an outdoor kitchen and dining area which opens onto the pool.High occupance rates make this a great investment opportunity. 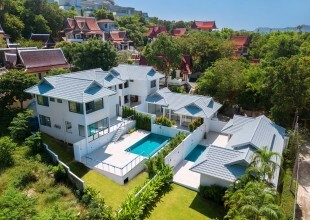 Boutique Hotel For Sale Bophut Koh Samui8 Luxury Private Villa w. rooftop jacuzzi - 72 sqm. 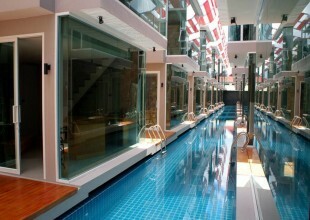 each3 Luxury Suite w. terrace jacuzzi 85 sqm eachGourmet RestaurantCocktail Bar35m long swimming poolState of the art luxury fitness centreSmart home technologyThe resort is a luxurious all Villa Property. A tropical sanctuary that is very close to the action. Unique designer hotel for sale in Bangrak, Koh Samui.Each of the 17 bedrooms is spread over 2 floors, with a living room downstairs and large bedroom upstairs.All the living rooms open up onto the swimming pool which runs centrally through the hotel.Every guest is invited to download an app on their phone, enabling them to interact with the other rooms. Reduced from 70,000,000 to 55,000,000 THBOriginally built in 2007 and refurbished in 2015 into a private Yoga retreat.The current owner offers the property as indiviual rooms, or as a whole to groups. 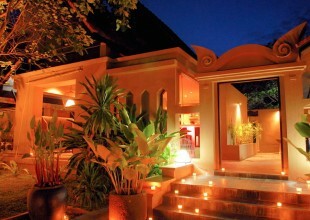 The resort has been in operation for eight years and enjoys a smooth and well-coordinated system of hospitality and service by a loyal and warm-hearted staff.Montra comprises of nine premium villas; all nestled in a beautifully manicured tropical garden and interconnected by a meandering swimming pool within a few feet of each residence. 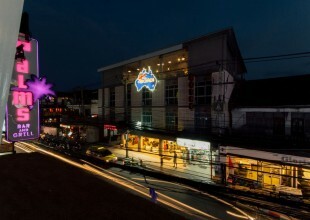 28 room hotel with busy bar in busy location - can be bought as a package or seperately. 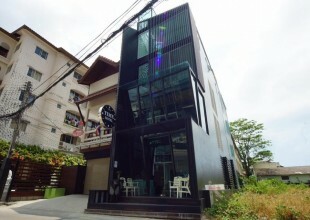 Boutique hotel for sale just a few minutes walk from Central Chaweng.14 rooms with 6 different room types:Single roomStandard double roomDeluxe double roomDeluxe twin roomExecutive double roomExecutive suiteVery close to Laem Din Market, Petch Buncha Muay Thai Stadium, and Soi Reggae.